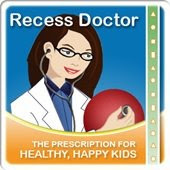 Peaceful Playgrounds | Recess Doctor Blog: Indoor fitness trail a hit. Indoor fitness trail a hit. Jayne Greenberg, District Director of Physical Education and Health Literacy for Miami-Dade County Public Schools, has partnered to develop a district innovative technology-based indoor fitness trail. A number of agencies partnered to make this resource available. 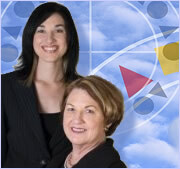 Jane is also a leader in the Prevent Obesity.net organization. JAMmin created the videos and the Center for Disease Control (CDC) provided some of the funding through a Community Transformation Grant. The QR codes also work on any mobile device that has a QR reader application installed, and are swapped out for new ones each month for variety. Scanning the QR codes links them to a Jammin’ Minute—a 90-second physical activity prompt that may include exercises like jumping, marching in place or toe touches. To access their QR codes and corresponding Jammin’ Minutes, visit the M-DCPS website.